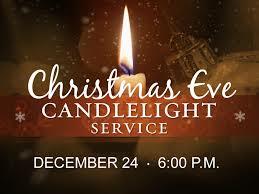 Christmas Eve Candlelight Church Service - You and Your Famil are Welcome! Abundant Life Community Church in Granbury invites you and your family to Christmas Eve Candle Light Service Saturday 6:00 PM. The whole Granbury community is invited to enjoy a warm and welcoming Christmas Eve Service! Music, Food, Kids, Friends, and a Christ-centered service for people of all ages. 524 Crockett St. (next to the US Post Office) Granbury TX 76048. 682-498-3031.